Counter Intelligence Services was established in 1993, as a private investigative agency providing a complete array of investigative, legal support and corporate security services. Staffed by career professional investigators, process services,and corporate security personnel. Whether you are experiencing infidelity, child custody issues, or needing to locate hidden assets… we can assist you! Is your mobile phone bugged? Do you need a car or office swept for hidden listening devices or GPS… call us TODAY from a secure location, we can help you! If you’re having civil or criminal transgressions, workplace violence, or needing computer forensics… our former military and government professionals are not only the best at what they do… but they make for great testimonials if your case goes to court. 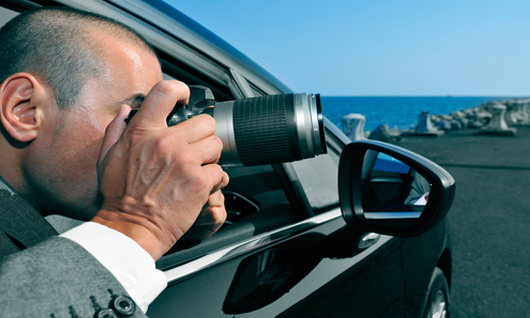 Our SIU surveillance specialists can determine insurance fraud, or an individual’s credibility. By incorporating vehicle and foot surveillance, along with utilizing covert video equipment (to include drones) we are able to provide you with valuable detailed evidence. Allow us to become an intricate part of your business by providing detailed background information on employees, clients, and business associates; reducing your business risk and loss. Whether you are experiencing Infidelity, an Insurance Claim or in need of “Peace of Mind” need to know surveillance… WE CAN HELP YOU! Call us today, 954.764.7393. We assist our clients by adapting to each case differently. Offering various uncommon searches and tactics to obtain invaluable evidence. With over 25,000 cases in various types of legal settings, our experienced investigators will help you uncover the truth and provide those needed answers. PI plaintiff attorneys rely on us for locating insurance policies, to sign-up services, photo sessions, accident reenactments, skips and more. Defense attorneys will benefit from our expertise into surveillance, social media investigations, locating witnesses, serving difficult process and providing expert courtroom testimony. We have helped many customers with infidelity and child custody issues. Building your case and working closely with your attorney, we will prove parent negligence, assist with obtaining restraining orders, prove alcohol or drug use, and locate hidden assets or employment wages to garnish against deadbeat parents. Our surveillance team of former military and federal agents utilize powerful optical zoom lenses, cover cameras, drones, and know when foot surveillance is needed. The “sitting in your car and waiting method”, might work for basic fraud detection and observations; however, being creative and making the case evolve is the responsibility of the investigator. We are aggressive… yet covert with our approach. We also provide our clients with backend access to our online case management software, allowing clients to view surveillances taking place in “real time”. From background checks to global searches, the locating of a missing individual (skip trace) requires intellect, as well as street-smart experience. From locating individuals, to assets and bank accounts nationally or offshore… WE CAN HELP YOU!! Call us today, 954.764.7393. We are adept at doing more than just financial fraud/embezzlement, general or intense background checks, fraudulent workmen’s compensation claims and business intelligence. Knowledge is POWER, employee our Intelligence! We have access to multiple online investigative databases within the US and overseas, with connections around the world. Counter Intelligence Services has been assisting the maritime industry for years, providing yacht owners crew background checks within 150+ countries, to include the Terrorist Watch List. Stay away from companies selling “Nationwide Background Checks”, those are convictions ONLY, most cases are settled or plea bargained. We locate actual arrest histories and check Federal Databases. DID YOU KNOW? A federal officer (FBI, ICE, etc.) can make an arrest and it might not show in a county or statewide search! WHY? Because Local/State/Federal agencies are still poor in communicating, this is why we search county, state, and federal records. Being knowledgeable helps us keep you secure! Spying might make you think of James Bond movies or the CIA… however, it’s a much more prevalent in the technological age we live in. 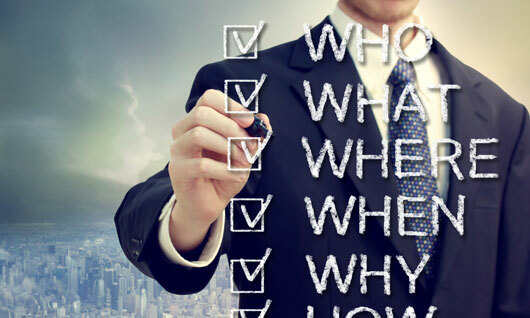 Are you losing customers or trade secrets? Did an employee steal from you? Are you or your family being threatened? Counter Intelligence Services offers inexpensive consultations, as well as affordable security solutions. WE CAN HELP YOU!! Call us today, 954.764.7393. We can protect you, your staff, and your trade secrets from eavesdroppers and people wanting to damage your business. Every aspect of your business should be scrutinized with retrospect to the security infrastructure; a strong infrastructure starts with a secure foundation. By not providing protection against possible threats, you might find that new idea or invention now part of a competitor’s product line. If you have a disgruntled lover, an ambitious employee, are perceived wealthy, or a person of importance, someone might also try blackmailing you. Security needs to be intertwined within every facet of your business, and not just the common areas like door locks and alarm codes. The key to safe security lies in the ability to choose the most effective equipment solutions. Starting with lighting, fencing, cameras, and evacuation plans…to human Intelligence, security consulting, and debugging countermeasure (TSCM) sweeps. 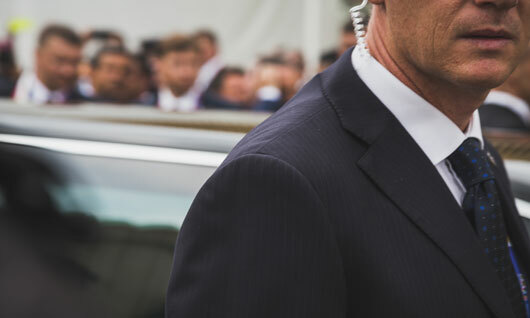 Our armed/unarmed executive protection and guard services are staffed by former military and police officers. We can protect you, your staff, and your trade secrets from eavesdroppers and people wanting to damage your business. We have a long list of clients we have protected, including The Miami Dolphins, Bacardi Rum, Ft. Lauderdale Mayor’s Office and many others. Our GSA product line of camera systems (CCTV), communication encryption, transducers, FBI certified biometric access (FIPS201), anti-kidnapping devices, chemical/bomb detection, and handheld/walk through metal detectors will increase your protection from competing businesses or terrorist acts. * If you think your phone is bugged, call us from a secure location. I have always found you to be extremely professional in all of your dealings with my office. I have used you on numerous occasions and have always found your results to be delivered in an efficient and professional manner. Additionally, you are always cognizant of the costs of the proceedings and you keep this office well-informed about the anticipated costs of all matters which are given to you. Keep up the good work. — David R. Slaton, Esq. As you know, during the past several years, I have had the opportunity to retain your services as an investigator to assist me in numerous cases. I have always found you to be very professional and diligent in your work. Furthermore, due to your investigations, I have been able to resolve and/or win many cases. Thank you for your assistance and I look forward to continuing to work with you. — Fred Moldovan, Esq. Thank you for the great detective work you have done on behalf of my clients. Counter Intelligence Services provides swift, thorough and professional service. I would not hesitate to recommend your company to any law firm, insurance company or defense lawyer who needs a fine, diligent and honest private investigator. Thank you again for the great work! My law firm has been using the services of CIS for many years. CIS is extremely responsive to assignments and most importantly, they get the job done. I highly recommend CIS. Justin G. Morgan, Esq. / Law Offices of Justin G. Morgan, PA.
Justin G. Morgan, Esq. / Law Offices of Justin G. Morgan, PA.
Nancy Corzine / NANCY CORZINE, Inc.
John W. Cubit, Vice President / FIU – Florida Intracoastal Underwriters, Ltd.
Ray Sanchez, Charm International, Inc. I have used Counter Intelligence Services on a number of occasions and have always found them to be professional, honest and with a great deal of integrity. – Roger P. Gibson, President, Roger P. Gibson, Inc.
Roger P. Gibson, President, Roger P. Gibson, Inc. Thank you for the excellent work done on this difficult service. As you are aware, this was a rather messy file that had been further complicated by our previous server. We appreciate all the steps you took to get this accomplished quickly and smoothly. Your service is worth every dime. – Marc J. Randazza, Esq. Thank you again for you professionalism in this matter. I appreciate your being able to resolve the issue, while keep the costs low. I do look forward to working together with you on other matters in the future. Thank you for a very professional job, you obtained exactly what I was seeking in a prompt manner. William J. Lawlor III, Esq. I have known Mr. Epstein for over 6 years and have utilized his investigative and process services for the past three years with only good results. Mr. Epstein handles himself in a professional manner and has been one of the more attentive individuals I have worked with during my career. Mr. Epstein and Counter Intelligence Services have conducted numerous investigations for me, along with services of process both statewide and national. I look forward to a continued business relationship with Mr. Epstein and the fine staff at Counter Intelligence Services. Thank you.